Think pay per click marketing is pretty basic stuff? At least once a day I find basic points so badly handled that it is OBVIOUS that the company running their pay per click marketing campaign is bleeding cash. Let me share a story with you that happened just a couple of days ago to explain. My wife were looking online for bi-fold shutters for our bathroom just a couple of days ago. Not finding what we wanted locally, we turned online. To Google. Okay, if you understand pay per click marketing, you’ll know that the search results on the right hand side are the paid ads, versus the “organic” or free rankings on the left hand side. Looking at the results page, you’ll note that it breaks down nicely into SEO on the left, and Pay Per Click on the right. Alright, ‘nough said. Sidenote: You’ll notice it’s purple, as in “visited” because we hit the back button after about 3 seconds on the site. Understand, this wasn’t the first site we visited looking for shutters. And chances are your web visitors are NOT hitting your site first during their search, either. Now, I’ll ask you. Why do you think we stayed all of 3 seconds on the Sears site? Have any ideas? Now let me ask you something. Do you see SHUTTERS anywhere here? Bifold interior shutters? No? Alright, let me share a little something with you right here. A TIP GUARANTEED to save you money on your pay per click marketing campaign. Are you ready? and are 1 Click away from NEVER returning to your site. Well, a web searcher is probably not going to land on your site first. By the time we landed on Sears, we had been to 12 other websites. Seriously. And we hadn’t found what we were looking for, either. So by this time we were pretty frustrated. And tired. For example, we slashed one company’s Adwords budget by 75% and generated the same results they experienced previously. Now we’ve revamped the entire campaign, and they are actually making money. 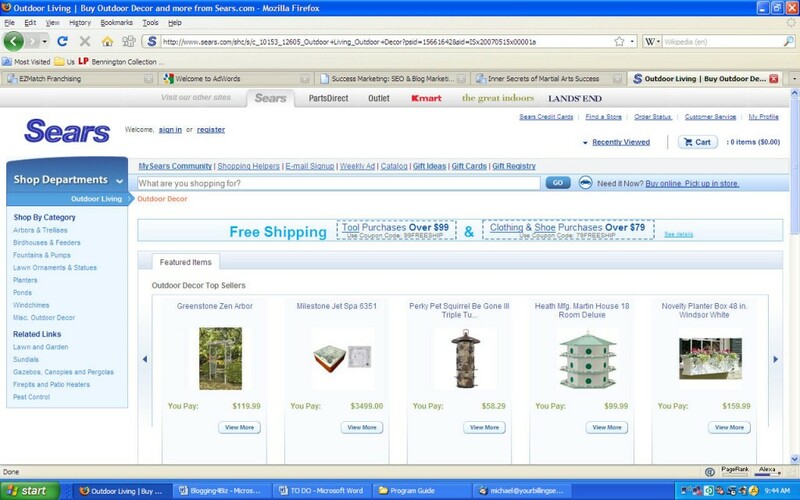 Make sure your LANDING PAGE displays the item mentioned in your AD. If you are buying clicks for shutters, there better be some damned shutters on the page when someone lands there, or they are going to leave in about a second. Maybe less. If that happens, you are blowing your money on nothing. 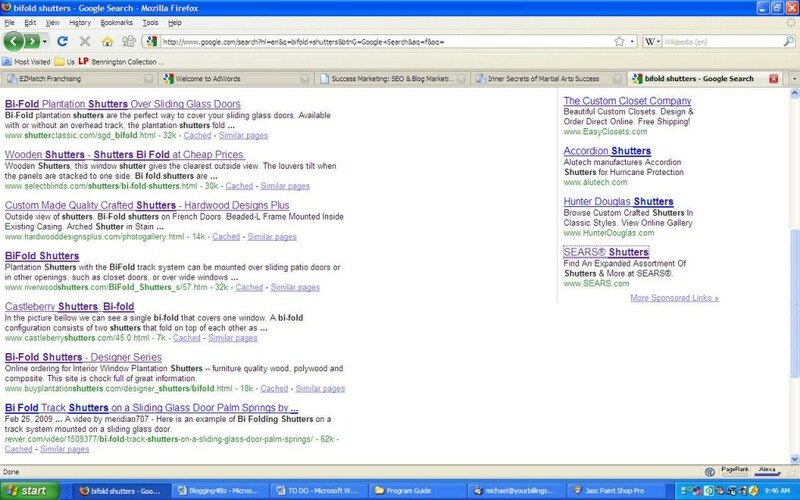 Can pay per click marketing work for your business? Nine times out of ten we’ll say YES. But not if you run your campaign like the geniuses over at Sears. I’ll tell you one thing. Most companies operating like this have more money than brains. send an email to us at support@bestwebpresence.com. Be sure to include your URL and we’ll get in touch with you. Well, here’s what we did for one new client. In 14 days we generated the same amount of traffic for his high end service that he did on his own in 22 months. At a fraction of the cost, no less. Now, what do you think that’s going to do for his business. So the question I ask you is, why would you want to wait to get started any longer?